Black ants and carpenter ants are both quite common, widely found in North America. The black ant, however, is more widespread, covering areas such as Europe, Asia and parts of North America. The size of the two is the most obvious difference, with the carpenter species more than three times bigger than that of the black ant. 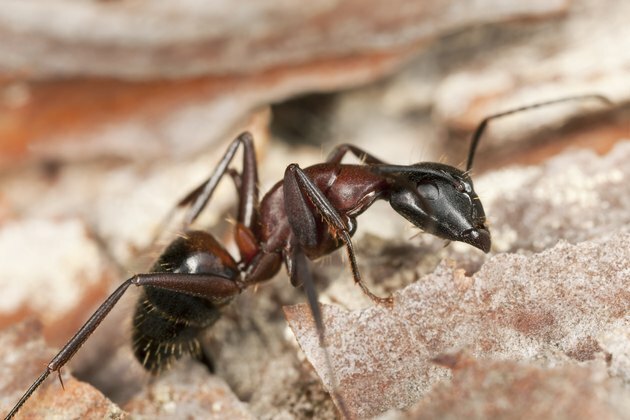 Carpenter ants are more than three times larger than black ants. Black ants are black in color. The worker ants are up to .2 inches while the queen is up to .4 inches in length. 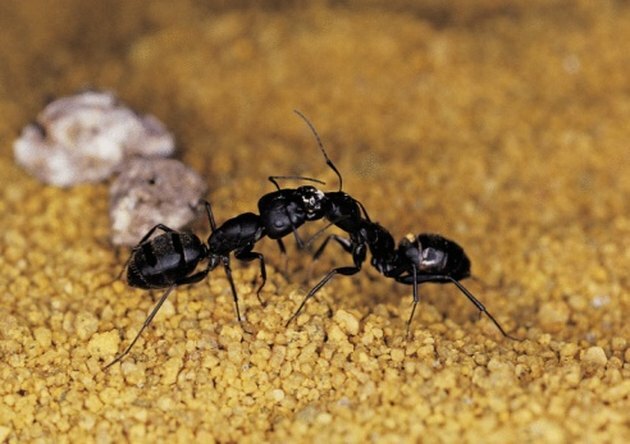 They are monogamous, meaning that they only have one queen ant per colony. 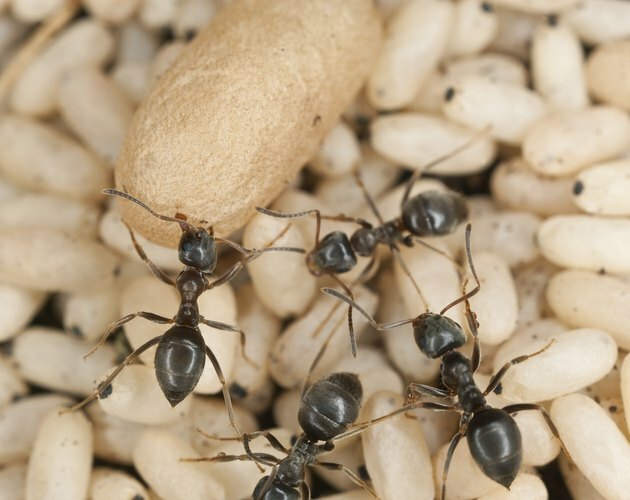 The colony size typically contains 4,000 to 7,000 workers, though some have been known to reach 15,000. Black ants will typically make their nest in soil. Places such as lawns, under paving slabs or at the base of walls make a popular nest site for them. They will travel large distances in search of food, often encroaching into people's homes as a result. They, however, do not usually make a nest in a house. 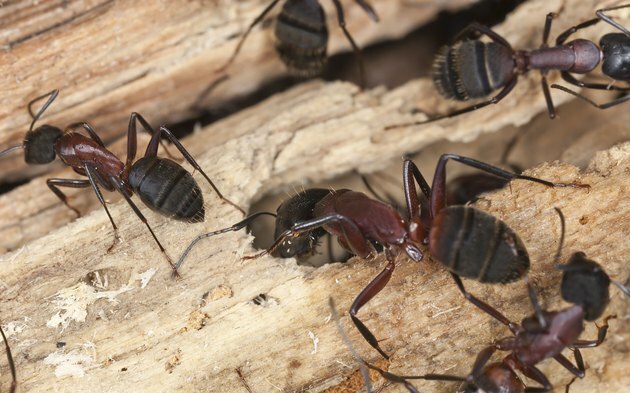 Carpenter ants are also dark in color, but sometimes with a hint of maroon or reddish-brown. Colony sizes range from 2,000 to 3,000. They can reach up to about an inch in length, which makes them one of the biggest species of ant. 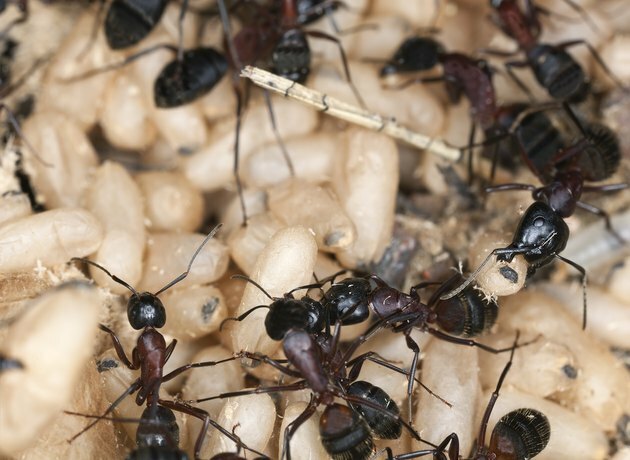 Carpenter ants live both outdoors and indoors. They make their nest in or near moist, decaying or hollow wood. Chewing into the timber, they will carve tunnels through which they will travel and nest. This makes them a renowned pest due to the amount of damage they can cause to property. The parts of houses often targeted are under windows, roof eaves, decks and porches. They leave behind sawdust from their exploits in the same way that termites do. 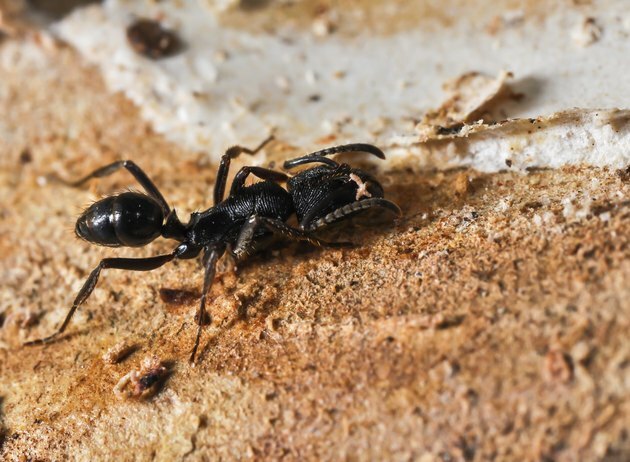 Certain Southeast Asian species of carpenter ants have a unique ability to explode if under threat. This will kill any insects in range. No other ants are known to have this capability. They have this capability due to an enlarged mandibular gland, which ejects toxic glue. Edmund Mills started writing for the popular DIY website lets-do-diy.com in late 2006. He spent three years at Bournemouth Uni studying industrial design. Other qualifications include four "A" levels as well as 11 General Certificates of Secondary Education. What Kind of Roaches Fly?